Yukitsu would find himself, outside the domain that was known as a town or safe zone. His every moment was a risk and a chance that he could get attacked, or he could be facing off against the monsters of this floor. He didn't look forward to the fact, if he would have to take on both at once, but at that point, wouldn't it be the same kind of threat for the other sides. He was wondering what he could possibly come across as he continued wandering only further and further, even with the risks that came in this game's deaths, he couldn't help but smile, at the challenges that laid ahead of him. Yukitsu, would also go on to think about those that he would eventually become allies with and venture forward through the floors of this game. Eventually, Yukitsu would consider himself pretty far into the place that could only be called a wilderness, in and of itself. You would go on guard at this point as he drew his lone weapon, the one handed rapier that he received at the very beginning of this game, he of course already had his armor on him. This was the basics, that he had been given, and that was all that he needed, of course. "I wonder where those monsters are hiding out?" He would ask, he didn't expect anyone to answer, there wasn't suppose to be anyone else around at least. With that unneeded statement, stated, Yukitsu would charge forward, moving with great speed until he came across a beast or two. In actuality, he could hear something, but he couldn't see it just yet, as it laid behind the cover of some trees. "Ah, I see, just what I've found is very weak...." He would state as he saw the monster that he had noted with his own two eyes. The monster was the easiest of them all, a boar at that. Clearly, it wasn't something that he had to worry about yet, as he found that he was faster than it in every regard, as he charged in on it and dispatched it, with only a two strike from his trusty rapier. In all honesty, he was quite surprised that his first fight would be that easy, yet it was already over as it had just begun, he was just that strong. The thing that began to concern him now though, was the fact that he could hear another monster approaching only a little bit further away, than he could see within his surrounding area. Tyson went out into the open area to train again. He had just recently chose a class and upgraded some points into it, so he wanted to see how much more damage he could do. He also had armor on now, so he might be a little slower thanks to hit, but it would help him stay out here longer and be able to fight for longer. Tyson looked around and saw a man fighting a boar. It seemed he couldn't take it out in one hit, having to rely on his sword skill. The man though seemed to bring an harder enemy in too. It seemed he had summons a dire wolf to fight him. Tyson guessed that he couldn't take it alone. Not wanting to be a bully and steal it, but wanting to make sure the man survived, Tyson ran up and slashed the wolf. It was destroyed right there. "Sorry for stealing your prey, but those ones are stronger than the boar you just killed, not sure how you would of done against it. I'm Tyson by the way," he said to him. Yukitsu had in some sense, fear that he wouldn't be able to easily dispatch the wolf that had approached him after, he slaughtered the boar with his strikes. But as it currently appeared, that actually wouldn't be an issue that he would have to deal with. A fellow player, also entered the area, slaughtering the dire wolf, with a single strike of brute force, as it fell to the ground at that point. A look of shock came across his face, as he realized that he was certainly in the presence of someone that was far stronger than himself, but as the fellow, introduced himself, Yukitsu calmed himself. When the wolf fell, he gave all of the exp to him, which was quite a kind consideration. Knowing that he could become friends with this kind player was something that made things be sensed as much better than they could of been. "That's fine, thank you for the assistance, Tyson, I'm Yukitsu." He would say as an introduction as he walked over to the fellow player, and extended his hand for a handshake. "Would you like to stick around and train together?" He would ask as he wasn't in all honesty sure, when something else would pop up, be it strong or weak. Now he would just await the answer from Trever, before proceeding with a plan or action. The man seemed okay with Tyson killing the wolf. Well that was a good thing. He didn't want the guy to die to something so easy, but well it was easy for him. Tyson was upgrading his skills so as to fight these things in one hit. He didn't want to spend time pointlessly fighting them, so killing them in one hit was a good thing. The man introduced himself as Yukitsu and he extending his hand towards Tyson. Tyson took his hand and shook it. No use being rude after what he did. The man asked if he wanted to stay around and train. Tyson debated it. He could help the other guy out, but that would make someone else that could help him clear the floor boss. "Sure, I guess, lets see what else comes our way then," Tyson said. Yukitsu was glad that the man known as Tyson, accepted his hand, as they would be proceeding forward with training and defeating more monsters. After that, he would go on to keep his senses open, he could hear in anticipation as things were approaching them now. 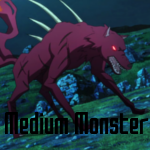 Eventually, one of the things that were on their way ot their location appeared, it seemed to be another of the dire wolfs, Yukitsu would motion that the other guy could take care of it for him. One of the things that he thought about was the fact, that no matter, what they were facing up ahead next, it would be a difficult task for him to defeat it in one blow, but it could be done, if it was a boar, and he happened to have his sword skill back. That however, was something that he couldn't predict, and as such, he could help but just prep himself, for whatever was ahead, as he pointed his rapier in it's general direction. "Good luck." he would state to Tyson, as they would both be locked in battle. Tyson looked at a dire wolf appear. This so far was the hardest thing he had fought. It was kind of boring. He needed a lot more experience to level up and if he was helping this guy, then it would take a little longer with only them, but it helped them both get stronger. Tyson remembered to do something since they were doing this together. He summoned his menu and found Yukitsu name. He then sent a party request to him. This would help know if he was in trouble and they could split the experience easily. Yukitsu seemed to notice the wolf and told Tyson that he could handle it. Tyson knew it was easy, so he did. He easily took out the wolf to notice that Yukitsu had found a boar. Tyson hoped he could take care of it. Tyson then looked around for another monster to fight. "Oh...." That was all Yukitsu stated as he could finally see the boar that was now approaching. He held himself, extremely well as he charged upon the boar that was before him, he took no time in what he was doing, just like how Tyson was doing with the wolf that he had put down. Once again, Yukitsu went to town on the boar, not letting up on it as he went in with a simple strike, followed up with a quick strike, making sure that the Boar didn't even land a mark on him as they had clashed. He was actually quite glad that Tyson, took care of the wolves as he had to probably put quite a bit into trying to take one of them down, It would only be a matter of time before before more stronger opponents would appear and Etsuo would be faced with a challenge that he couldn't handle. With Tyson, he could only hope that this wouldn't be for a long while, he wasn't standing alone as he looked onward. Tyson looked bored to see another boar. They were pretty simple to deal with and they didn't give a lot of experience. He wanted to deal with it quickly and try to move onto another opponent. He watched Yukitsu face another boar as well. Yukitsu seemed to still need his sword skill. Once he leveled up he would probably be able to take the boar in one hit, and then the wolf in two. Tyson faced his boar and slashed at it easily. It seemed to die leaving only experience behind. Tyson looked around hoping for another opponent. Hopefully something harder. Etsuo was finally faced with a bit of a problem, as he no longer had his sword skill to one shot the boars, but the only seemed to be continuing to pour into the area. As he, finished one off, another only seemed to appear coming to take it's place at this point, the same could actually be said of Tyson as well, but he had not problem in oneshotting the little boars, or the wolves that they were coming across. Yukitsu, charged forward without worry, of what was about to come, he could already tell that this boar, wouldn't fall from his strike, and so he braced himself after he struck only once at the boar before him. and in turn, it rammed it's tusk into him. Taking a portion of his own life, but he would only rise up once more, he knew that he could handle this. Tyson watched as another boar came. He knew this was going to be easy. He looked over to watch Yukitsu having a little trouble with his boar. It seemed his sword skill was on a cooldown, so all he could do was hit the boar once before it returned that attack. Tyson watched as his hp bar reduced a little, but it wasn't much. Tyson watched the boar that was in front of him. He easily swung his sword killing it. He was sure he didn't even need his sword to kill it, he could possibly just hit it with his hand, but he liked using his sword. It helped improve his skills. He wondered what else he might fight around here. He wouldn't let this go so easily, as he held his rapier still, feeling the pain that was brought upon him by the boar's strike. He could only briefly watch as Tyson was still on a roll, of killing boars, one after another, not even needing his sword skill, or a moment of rest even, he would probably, be able to do so, if only he was a little bit stronger. That was after all, what they were working towards as Yukitsu charged upon the boar that had harmed him and struck it cleanly with his rapier, causing it to fall. This time, he would be ready, for whatever was coming at him, whether it be boar, wolf or worse. "Bring your worse, game." He would state loudly, getting pumped. Another boar. Man Tyson had to wonder if this was all Floor one had to offer. If it was, then they needed to beat the floor boss soon, so they could go up a floor and fight stronger monsters. Tyson knew that if he was going to get the best out of his he would need to at least fight some dire wolves. He could one shot those and they gave better experience. Tyson noticed that Yukitsu had finally killed his boar. He told the game to bring its worse. "I feel like you shouldn't tempt it, you never know what might happen," Tyson said. 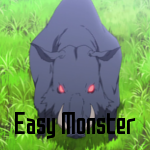 He easily dispatched his boar again and looked for another monster to fight.